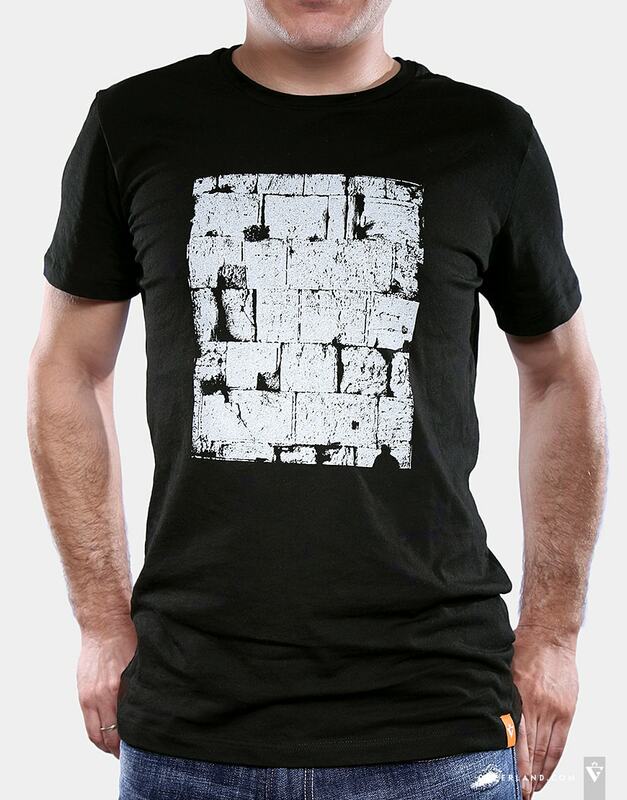 Western Wall - T-shirt 100% Cotton. Made in Israel. For many centuries the Western Wall is considered to be the holiest place for the Jewish people, the place of faith and pray. The Wall is a 485 meters part of an ancient wall of the Second Jewish Temple, which was destroyed by the Romans. The Jewish sages claim that the gate to heaven is located in that place. During the past centuries there is a tradition of placing notes between the wall stones. The notes are believed to be heard by God. This sacred place is always full of visitors: huge ancient stones are surrounded by hundreds of those who celebrate a Bar Mitzvah, take pictures in their wedding day or place notes with prayers between the stone cracks. These stones remember not only present days, but also many centuries before. Only one thing had always been the same – an infinite number of people dreaming of touching the walls of the most sacred place for Jewish people. That’s all about the Western Wall. The Western Wall, also known as Kotel, was the part of the most magnificent and great building which had ever been built in Jerusalem. It formed the walls of 1,555,000 sq.ft plaza, where the Temple Mount stood. Its length was about 1,500 feet, height – 90 feet, and depth – 60 feet. The Western Wall is not only the most amazing and unforgettable building; it is the inseparable part of Jewish people. Abraham was the first who found an indissoluble link between the Jews and Jerusalem: he offered Isaac to sacrifice Mont Moriah. After this, the rock became known as the first Foundation Stone of the whole world. It’s a great story how the wall was built. To begin with, the land, where the Western Wall stands, was bought by King David. The first temple, which was built by Solomon, suffered from Babylonians attacks and was finally destroyed in 586 B.C. The second temple belonged to Herod’s hand, but, unfortunately, it was burned by the Romans during their invasion in 70 A.D. Later, in the Middle Ages the Wall got another name ‘the Wailing Wall’, that’s because the Jews saw it being destructed. According to one legend, at the anniversary of the Temple’s destruction people saw dews on the Wall which reminded of the shedding tears. When Jerusalem was divided in 1948-1967, Jews were separated by the Wall. 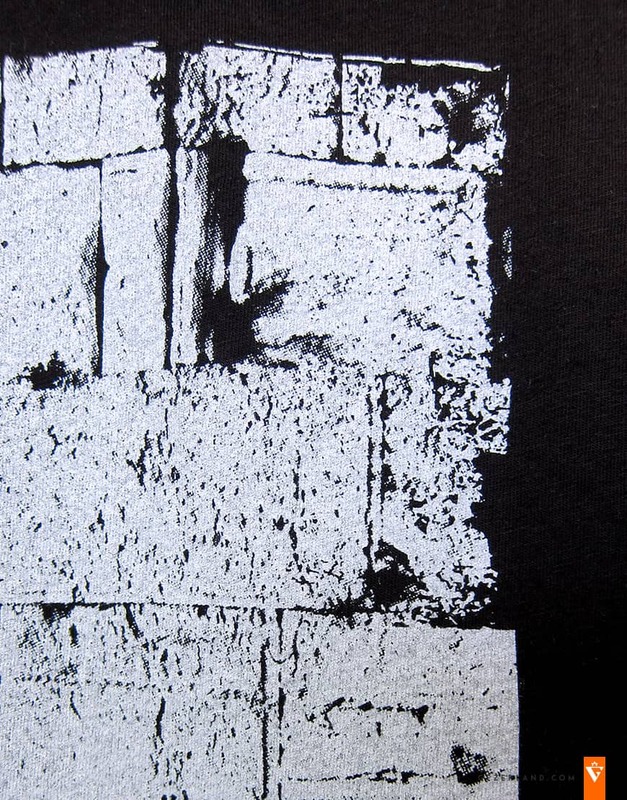 At the day of Jerusalem reunion, on the 7th June of 1967, the Western Wall became the symbol of unity. Although many years have passed after those events, the crowds of people don’t become smaller near the Western Wall proving that it is a unique place of love as for Jewish people, so for people from all over the world. They come here to show their respect to the Holy City of the Jews and place a part of them and their souls in a form of the notes between the old stone walls, which will remember them now and forever.